The 200-year old studies by Chladni, of the sand figures of vibrating plates, live on today in the investigation of the wave mechanics of nonintegrable systems. This talk gives will survey the contemporary mathematical analysis of the wave-function statistics of the billiard problem, uncovering the manifestations of classical chaos in the wave-mechanical world. Some of the experiments of recent years will also be surveyed. The illustrations show the continuing Chladnian splendor of the current-day subject. Dr. Sudhir Ranjan Jain is presently working as Scientific Officer-H at Bhabha Atomic Research Centre and a faculty at HBNI, DAE. He is also an adjunct professor at UM-DAE Centre for excellence at Vidyanagri, Mumbai. He obtained his doctorate degree from University of Bombay in 1994. He completed his Masters in Physics in 1985 from Indian Institute of Technology and Honors in Physics in 1983 from University of Delhi. 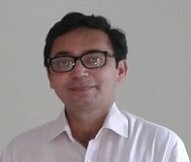 Dr. Ranjan has specialization in the fields like dynamical systems, quantum and semi-classical chaos, statistical mechanics, nuclear theory, random matrix theory and exactly solvable models. Dr. Ranjan has published 75 papers and few Review articles in international journals including a book on ‘Mechanics, Waves and Thermodynamics: an example based approach. He achieved INSA medal for young Scientist in 1994 for his very thoughtful and original contribution to quantum chaos. He also achieved Anil Kumar Memorial award in 1999 by INSA and also Royal Dutch Academy of Arts and Sciences award in 2006.